It is with very great regret that we write to notify you of the death of Professor Charles McKean Hon FRIAS 16.07.46 – 29.09.13. Charles served as Secretary and Treasurer of the Royal Incorporation from 1979 – 1994. During that time he transformed the organisation. 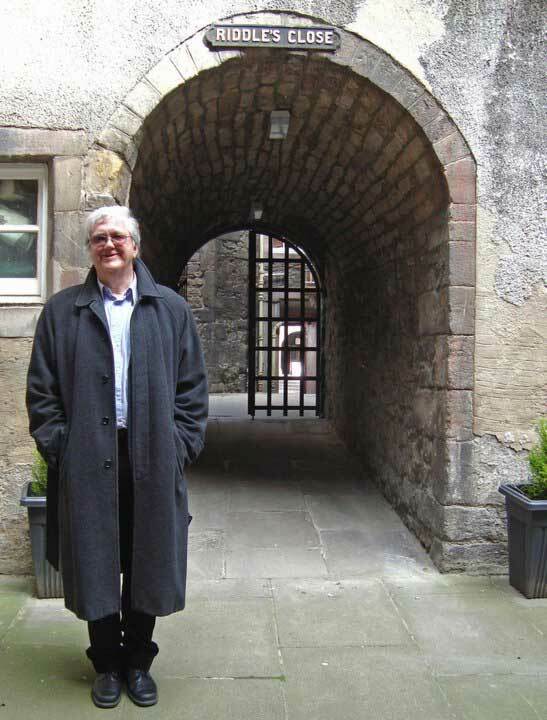 As a prolific author, historian and media commentator and primarily through his role as Professor at Dundee, he made an immense contribution to the public and academic understanding of Scotland’s architectural history. Charles is survived by his wife, Margaret and his sons, Andrew and David. Here is a link to the Fifth Annual Cockburn Lecture Delivered by Charles McKean in 2002, summarised by editor Adrian Welch. “what a mess we’re in. In a funny way this lecture tonight was a call to arms”. McKean is “a man of integrity…he’s got no hope…he’s not afraid…Above all he is a man of passion…that’s what is needed now…He is a kind of leader”. Scotland’s most historic buildings, along with 20 per cent of its housing stock, could benefit from a new research project into building conservation materials. 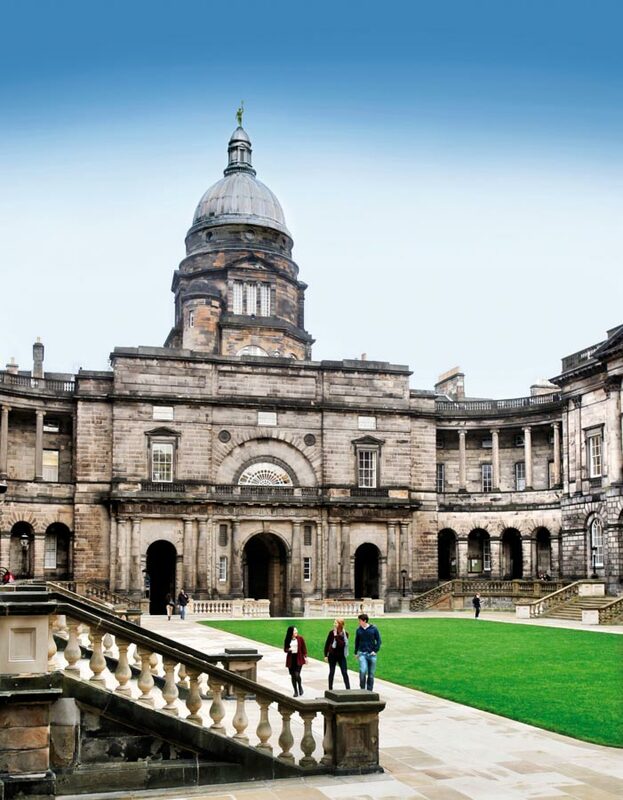 A new specification framework for lime mortars is being developed in a joint project between Heriot-Watt University and Historic Scotland. This could dramatically cut the cost of conserving and maintaining buildings like Edinburgh Castle, as well as generating business opportunities for small and medium enterprises (SMEs) throughout the country. The majority of Historic Scotland’s buildings and around 500,000 houses in Scotland were built using lime mortars. From 1919, cement-based mortars became more popular. Cement mortars are generally incompatible with lime mortars and natural stone, meaning repairs and conservation attempts often fail. The project has received £135,000 Knowledge Transfer Partnership (KTP) funding to work jointly on the ‘Limes-Quest’ project. This research will develop a new lime mortar framework, which will uncover the materials environmental and technical performance. Roger Curtis, Historic Scotland technical research manager and project supervisor, said, “As the leading technical advisor in Scotland for repair and maintenance of historic buildings, we believe it is essential to better understand lime mortars and create a framework that be used across the country to ensure our buildings are cared for properly. “Better understanding of lime mortars has the potential to create substantial savings. We estimate that our repair and maintenance costs across the 345 properties in our care could see a reduction as early as three years following the project. Dr Alan Forster, academic supervisor from Heriot-Watt University’s School of the Built Environment, commented, “Lime mortars are regaining popularity because of their performance and green credentials. They actually absorb CO2, unlike cement. They are also more flexible and ‘breathable’ than cement mortars and so cope with moisture better, which is obviously of interest in Scotland given our weather. “When they fell out of fashion in the early 1920s we forgot about the benefits of the use of lime mortars and their importance in constructing and repairing some of Scotland’s most iconic buildings. We need a comprehensive understanding of lime mortars so that we can prevent the deterioration of buildings and reduce the associated cost of repairs, including the time taken to try three or four different lime mortar ‘recipes’ on a structure. “We will be testing various lime mortars’ physical strength, moisture handling characteristics and resistance to deterioration. We’ll also investigate how it reduces the carbon footprint of buildings and create a framework that can be used by Historic Scotland but will also be of value to architects, building merchants, local authorities and those generally entrusted with the repair of our traditional built environment. Stewart Milne Timber Systems comments on Scottish Government’s energy efficiency targets for the construction industry. • New homes will have to reduce carbon dioxide emissions by approximately 21 per cent compared to current levels. • New non-domestic buildings, such as shops and offices, will be required to decrease emissions by an average of around 43 per cent. • The changes will be implemented in October 2015, a year later than first proposed. “We support the Scottish Government’s decision to extend the deadlines for the introduction of new energy efficiency standards and performance targets. “We firmly advocate a fabric first approach, employing sustainable materials in an innovative manner that is both cost effective for our house building clients and easy to implement. A two stage open design competition to design a two bedroom house suitable for island locations which is affordable to build and heat. The objective of the competition is to help community landowners to use their land to enable the development of well designed warm, affordable housing for rent and ownership. The winning house to be built on community owned land in three island locations. The Our Island Home competition, organised in conjunction with Architecture and Design Scotland, will create a house which is easy, quick and affordable to build and heat to help young islanders make new homes in their island communities, and help community landowners to use their land to build affordable housing for rent and ownership. The Our Island Home project is supported by the Prince’s Countryside Fund, ScotGrad and HIE. Environment Secretary Richard Lochhead will officially open Scotland’s ground-breaking Resource Efficient House on Thursday September 19th. Culture Secretary Fiona Hyslop is to take to Twitter on Tuesday, September 24 for a live discussion on architecture and to seek tweeted views on how the Scottish Government should mark Scotland’s focus year in 2016. It follows First Minister Alex Salmond’s announcement last Tuesday of Scotland’s new set of focus years- part of the legacy launched after the Year of Homecoming 2009, which spanned food and drink, active, creative, natural and ancestral themes. 2016 has been designated as a year in which Scotland’s achievements in innovation, architecture and design will be celebrated with a 12 month programme of events aimed at supporting and driving the nation’s tourism and events. 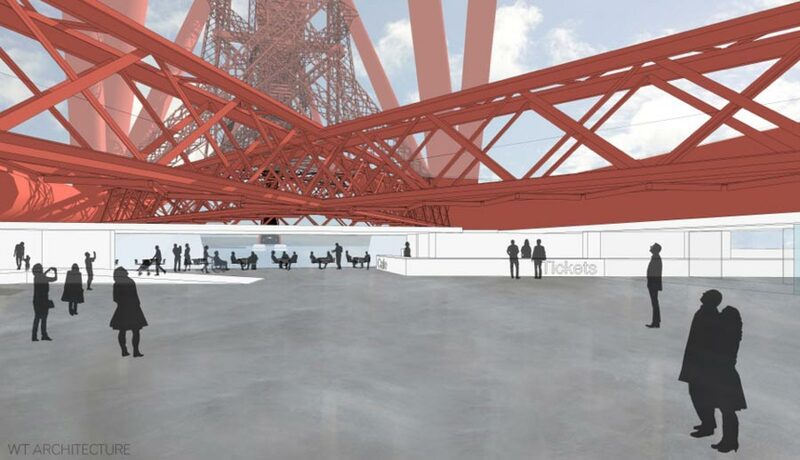 “2016 presents a fantastic opportunity for Scotland to showcase to the world the incredible resource and skills that we have in our architects and designers. “The year will also mark the 100th birthday of the Royal Incorporation of Architects in Scotland (RIAS) and the focus year theme is timed to coincide with a year-long RIAS Festival of Architecture. Views collected via the Twitter chat will be used to help plan the format and celebrations to take place throughout 2016. The twitter chat with Ms Hyslop will take place between 1500 and 1600 on Tuesday September 24. To submit a question in advance tweet @culturescotgov using hashtag #Scotland2016. To find out more about ‘Creating Places’; the Scottish Government’s policy statement on architecture and place, visit www.creatingplacesscotland.org. – Architecture accounts for over 10% of Scotland’s £2.67bn creative industries sector; In 2010, GVA for architecture in Scotland was £285m; In 2011, employment in architecture in Scotland was 5600. – To date our partners in the Festival of Architecture 2016 are: A+DS; Aberdeen Society of Architects; Association of Preservation Trusts; Association of Scottish Schools of Architecture; Built Environment Forum Scotland; Children in Scotland; Creative Scotland; Dundee Institute of Architects; Edinburgh Architectural Association; Education Scotland; Event Scotland; Glasgow Institute of Architects; Historic Scotland; Institute of Historic Buildings Conservation; Inverness Architectural Association; Landscape Institute Scotland, National Galleries of Scotland; National Museums of Scotland; National Trust for Scotland; RCAHMS; Planning Aid Scotland; Royal Scottish Academy; Royal Town Planning Institute; The Saltire Society; The Scottish Civic Trust; The Scottish Government; Stirling Society of Architects; Visit Scotland; VOCAL. The Wood Studio at Edinburgh Napier University is pleased to invite you to the next ‘Thinking Timbers’ evening lecture featuring Ian Hall at The Royal Society of Edinburgh on 30 September 2013 from 6.30pm. Headed by architect, Ian Hall, Arkitrek manifests a very unusual approach to architecture – a social enterprise based in Malaysia, it has three distinct strings to its bow: commercial practice, research and development and experiential learning programmes. Its work is genuinely sustainable, in particular its approach to tropical passive design and the integration of architecture with social infrastructure and the natural environment. Arkitrek practices participatory design and engages with volunteers, students and communities in many of its projects. A graduate of Duncan of Jordanstone School of Architecture in Dundee, Ian will speak about the work of Arkitrek and the timber projects he has been involved in over the past ten years. If you’re looking for something new or different to learn about architecture and construction, this talk should certainly stimulate discussion. Registration will commence at 6pm and the lecture will commence at 6.30pm. Following the great success of the RSA’s first ever Architecture Open exhibition last year, the Academy is delighted to announce details for the 2013 Open exhibition. Architects from all over Scotland and further afield are encouraged to submit models, drawings and other media to this open submission exhibition, led by convenor Richard Murphy OBE RSA. “The RSA Open Exhibition is THE annual opportunity to take the temperature of architecture in Scotland. It Is a snapshot of the best of architectural activity happening here and in one room we hope we will see most interesting current work from all of Scotland’s best architects’ together with talent that might hitherto be not so well known. Architecturally Scotland punches well above its weight and I am determined that the exhibition will demonstrate this by both the quantity of submissions and the high quality of the projects selected. And finally, it is vital that although the show does not open until 23rd November, all architects considering submitting work should be well aware of the 7th OCTOBER deadline for online registration of work.” Richard Murphy OBE RSA. Unique Japanese-style garden at Cowden recognised for its national importance. Design: Sutherland Hussey Architects with GROSSMAX. The car-free Festival zone on George Street has been declared a resounding success – paving the way for new pedestrian-friendly projects in the city centre, reports the Edinburgh Evening News today. The number of people visiting George Street leapt by a third compared to last August and also halved the amount of traffic. The George Street shake-up – that saw cafes replace vehicles along large stretches of the road – now looks set to continue for at least the next three festivals. City leaders also believe their controversial bid for a one-way loop in the centre has been vindicated by George Street’s success as a “people space”. The pedestrian-friendly master-plan would see buses and public transport run along the north side of George Street and westbound on carriageways on Princes Street – to allow pavements to be extended for pedestrians.